It's almost time for the most exciting time of year for football fans--The 2015-16 College Football Playoff Bowl Games! If your team is performing well and has a chance to compete at one of the many bowl games, now's the time to start booking your College Football Playoff Game accommodations! Go for the bowl game, stay for vacation! Hotels and vacation rentals will book up fast, so don't wait until the last minute to book. You wouldn't want to miss the chance to cheer on your favorite team and make memories that will last a lifetime! Here are a some great bowl game accommodations options for you to stay at during the quest to a team championship! 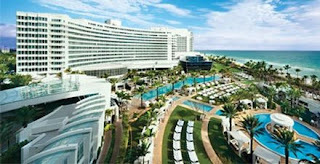 Nothing can compare to the atmosphere of the Orange Bowl, but the Miami area sure comes close, especially Miami Beach! Why not spend part, or all of your time staying in the Miami Beach area? You can get from the stadium to the beach in as little as 20 minutes. Not bad, right? Witness an epic game, head back to "home", and hit the beach! We have fantastic accommodations in Sunny Isles Beach, Miami Beach, Hollywood, Boca Raton, Pompano Beach, and Fort Lauderdale. Arizona is a perfect place for a bowl game, with nearly perfect weather this time of year, a dry climate, and some pretty awesome scenery. 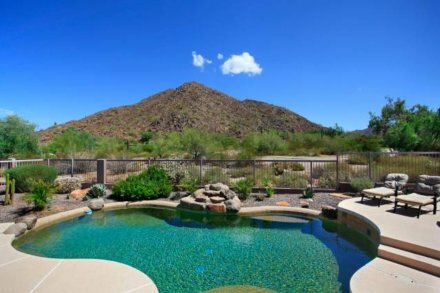 We have some really great options for your Fiesta Bowl accommodations; you won't be disappointed! From large houses with private pools, golf course condos, or condos/houses in the mountains, there's a huge variety to choose from. Plus, most are within a 7-20 minute drive of the stadium! We just love this area of California! 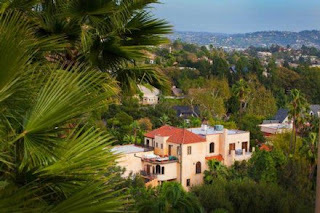 There are so many options for things to do in the Pasadena area, and so many great places to stay! If you want to be close to stadium, stay in the hills of Los Angeles and be just a 10 minute drive to the front door of the stadium. Or, stay out a little bit further and head for the coast! Whichever you decide, you won't be disappointed staying in this wonderful area. Let the best team win, and have a great time on your vacation to the 2015 College Playoff Bowl Games! Need help planning your trip to the bowl games? Contact our Travel Specialist! We love helping our customers find the perfect place for vacation! Winter is almost near! The snow is here and many of the top ski resorts in the west are preparing to open in the next couple weeks. If you are thinking about taking a nice long weekend or a full week to hit the slopes, check out our list of top ski resorts in the west! Opening this year on November 21, 2015, Park City Mountain will celebrate with free coffee and reusable mugs! 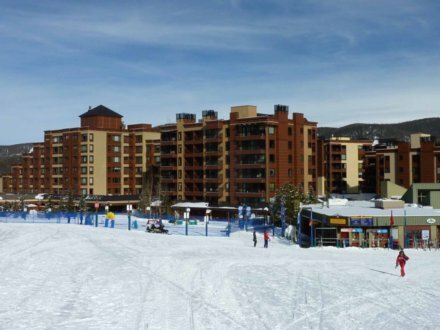 But that's not the main reason to visit Park City on your ski trip, it's because of the mountains and village! With over 7,300 skiable acres, it is the largest single ski and snowboard resort in America! It is now linked with the Canyons Resort which gives you even more options than ever before. Park City Mountain now offers over 300 trails, 38 lifts, seven terrain parks, 14 bowls, 6 half pipes and one super pipe, plus ski-in/ski out accommodations. There is something for every ability! If you want a great ski in and ski out property, take a look at this 3 bedroom vacation condo in Park City! You can't get any closer to the Park City Mountain lifts and there is also a free shuttle to the downtown area and other parts of the mountain! Park City Mountain vacation condo in resort with ski in/out! The Big Sky Resort is opening November 26, 2015, just in time for the holiday weekend! One pass gets you on 22 mountains on over 5,800 acres with over 300 runs of winter fun! Because Big Sky is not near another large city, it's well known for its short or non-existent chairlift lines, and quick drive from the airport or neighboring areas. 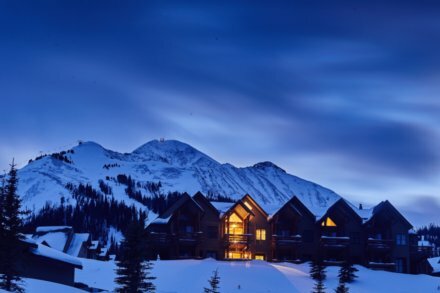 This Big Sky ski in/out townhouse is perfectly placed to ski down to the Pony express chairlift, or is a short walk to the Moonlight Lodge to hop on the Iron Horse chairlift. The Moonlight Lodge also offers a great restaurant and bar, plus it has an hourly shuttle to the the Big Sky Base area! Bonus: just look at the view from this place! Opening day for the Breckenridge Ski Resort is November 13, 2015, the earliest of our featured destinations! Breckenridge has just recently been showered with extra powder, making it the perfect time to make it to opening day! This ski resort is not only popular with professional skiers and snowboarders, it's also a favorite of every day winter sport enthusiasts and their families. Even celebrities love to flock to Breckenridge for skiing and the world-class, upscale shopping and dining! Breckenridge is a very popular destination that people return to year after year. This vacation condo in Breckenridge offers the best location possible! The ski school, Quicksilver Super6 chairlift, shops, restaurants, and nightlife are just outside your door. Plus, you have access to the hot tubs, pool and workout facilities. These are just a few of our featured ski destinations in the western part of the country! Other fantastic ski resort areas are Lake Tahoe, Vail, Aspen, Angel Fire, and Jackson Hole. All these great ski destinations book up very quickly, so don't delay! Contact our Travel Specialist if you need help planning your winter ski vacation. We love to help our customers find the perfect place for vacation!